Utilising nature’s finest insulating materials, the Duck Down Feather Fill Sleeping Bag from Phil & Teds is the ultimate in baby comfort. 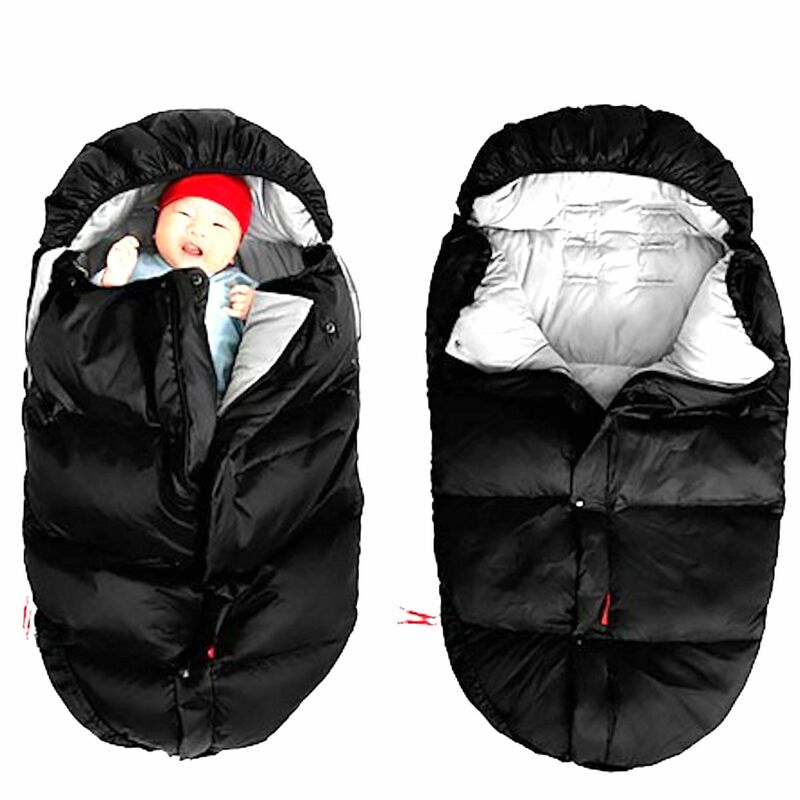 Offering unparalleled warmth to keep out the winter chill, the sleeping bag provides you with a front opening for easy access to baby and universal harness holes so that it can be used in your pushchair for the ultimate luxury footmuff. The elasticated hood means that there are no exposed cords for baby’s safety and the non-slip grip pads on the rear prevents baby sliding down the stroller seat. Made from high-grade, durable material the cosytoes is built to last and features a base opening for ventilation and for muddy boots. The hidden zipper eliminates drafts whereas the front zipped pocket is fantastic for small object storage. Base opening for ventilation or muddy boots!